 Mobilewalla profiles users of mobile devices by collecting, analyzing and storing mass amounts of app and geo-location data. By associating every Device ID with apps, lat/long and points of interest, the user is segmente into 100s of demographic, behavioral and custom segments. A unique differentiator of Mobilewalla is the 2+ years of historical persistence data per device, allowing us to go back in time to understand seasonality and past shopping behaviors. Our competitors only store as far back as 30 to 90 days per device. Creating an audience based on years of data reduces the risk of anomalies that come with shorter observation windows. Lastly, our capabilities are at scale throughout North America, Europe, LATAM and Asia, covering 30 + countries globally. The sources of mobile signal collection are: 1) SDK, 2) Pixel, and 3) exchange supply signals. There other providers in the marketplace who have access to similar data points, but having developed the science to interpret the data is essential to our high-quality results. The storage/retrieval of mass amounts of data is essential for pattern recognition. Cleaning the data by identifying/removing fraudulent devices. Un-blinding supply signals to determine the app name associated with every signal (signal #123abc = Cosmopolitan App). Identify/use only accurate and precise location information to map consumers with points of interests. Mobilewalla builds verified demographic, behavioral and custom audiences. Behavioral audiences include: passions, life styles, and shopping. We utilize app usage, location, and temporal (time based) data for audience development. Our multi-dimensional methodology to cross-reference the digital fingerprint (app usage) and physical location (POI) ensures we classify consumers accurately. Our competitors do one or the other but never both. Consumer Electronic Switchers: Consumers who have owned their smartphone for 18+ months. Leisure Travelers: Consumers that travel on weekends, take annual holiday vacations, and use OTA apps. Telecommunication Conquest: Consumers who are subscribed to a competitive carrier (e.g. AT&T can target Verizon subscribers) for 18+ months. CPG Health & Beauty Lifestyle: Consumers who frequently shop at beauty retailers like Sephora, and consume health/wellness app content. College Sports Fans: Consumers (21+) who frequent sports bars on Saturdays, attend college sporting events, and consume sports content. Women’s Fashion Shoppers: Women that frequently shop at luxury retailers and use endemic fashion apps (Stylebook). Mobilewalla is GDPR compliant. Mobilewalla is classified as a “Data Controller” under GDPR for the data that we curate and license. We do collect and process data that is classified as “Personal Data” under the GDPR regulations, but we do not collect or process data that is classified as “Special Categories of Personal Data” or “Sensitive Data” under Article 9.